Research company Technavio has released its new Global Action Camera Market 2017-2021 industry research report detailing the state of the action camera market and expected trends over coming years. According to the report, Technavio expects action camera growth to increase about 15% by 2021, with Ultra HD cameras driving demand. HD action camera growth, meanwhile, is expected to decrease by more than 3%. Numerous factors are driving action camera growth, according to Technavio, including a 'growing fascination of individuals to capture adventurous activities on camera,' as well as increased adventure sports popularity and certain social sharing platforms like YouTube and Instagram. Per the report, the global action camera market is currently dominated by Drift, Garmin, GoPro, iON and Rollei. By the year 2021, Technavio expects the Ultra HD category of the action camera market to reach $3.3 billion, with one 'major factor' behind the growth being the broadcast industry's 'demand for better viewing angles.' The Full HD category, meanwhile, is expected to reach $2.2 billion, with the surveillance/security industry driving growth. 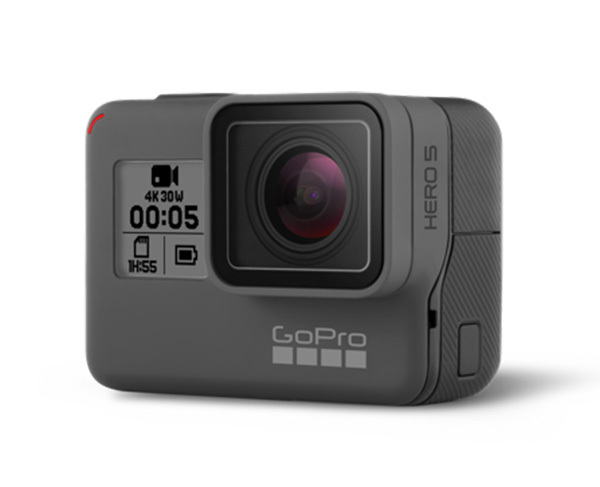 The HD action camera market has already reached its peak, according to the report, at least based on shipments which show the largest demand having been achieved last year. 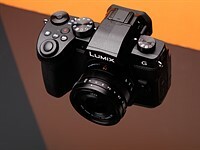 Developing markets in places like India and China helped drive the demand for HD cameras, though growth is expected to fall over the next four years. In 2016, Ultra HD cameras saw the most demand, holding 46.99% of the market share. Technavio expects UHD action camera demand to grow 18.74% over the next four years, eclipsing the anticipated 16.63% anticipated growth for Full HD cameras (which held 34.72% market share last year). The research estimates that HD action camera growth will be absent, meanwhile, decreasing 3.45% by 2021 below last year's 14.06% market share. Not really useful for my couch-centric lifestyle. I know I'd buy one. I'm looking for something like those Olympus tough cams....but with a decent sensor in size in it. "Ultra HD cameras saw the most demand" Because most action cams (at least from companies that share their sales numbers, like Sony and GoPro), are UHD maybe ? To be honest, that's not terribly fast, given it's 4 years out still, as 10% year over year growth in most markets is considered "good". So I don't know if by saying increase by 15% by 2021 (which is 4 years) is meant to sound good or bad... If it's Y-o-Y, then yeah, that's a good growth rate. But still, the action camera market makes up a small segment of the video camera industry. I think we're still about another 5-7 years away from action cameras becoming a "normal" consumer good (like tablets and smarphones) and cheaper to a point where they are almost become common place in most households. Nikon is well positioned to reap this "growth " with keymission. does GoPro still alive by 2021? Where I live in Asia, a lot of these sports cameras are now used by motorists not for journalism purposes but to avoid legal issues in case of an accident. Cars, motorcycles, bicycles all use them. Many of them are cheap knock-offs of GoPros that capture bad images, but it's enough to show who's right and who's wrong in a fender-bender. It makes up a large chunk of the action camera market here. Actual journalism constitutes a far smaller user market. Predicting the popularity of a particular technology in 2021 is dubious. Right, when I watch CNBC, chiefs from Wall Street project "growth" for everything, from a company to a sector or a whole industry all day long. you know the results. Oh for oil too, while oil was $100+, they say will be close to $200 in 3 years, but it went down to $20 instead of $200 in less than 3 years, what they say? it should be close to $10, but it is $50 now. "According to the report..." what a joke. I used to work in market research.. man these press releases take me back... a lot of numbers with no context (growth? what kind of growth, dollar growth/unit growth?... inflation driven or product driven?)... The press release isn't meant to be helpful, it's basically an advertisement for companies to buy the full industry report hoping that there is something substantive in it. I don't understand a word of this.. It's a hero for some people!